Founded by Matt & Kelly Backert, Kore Bootcamps opened in the fall of 2017. Kore is decidated to helping individuals improve their lives through fitness. With over 20 years of combined fitness industry experience, Matt & Kelly's shared vision of fitness and desire to help others has become their life work. "After sepnding many years in commercial gyms and working with a wide range of clientel we identified that most people don't achieve theirs goals because of lack of time, insufficient funds, and/or limited knowledge on what to do. Kore strives to provide high quality helaht and wellness servicers that are both convenient and affordable." Kelly, named Harford Best Personal Trainer, has more than 10 years experience in the fitness world. She is also the Founder of Bootcamps by Kelly and has worked with corporations and schools to deliver messages ranging from nutrition to living a more healthy lifestyle. Matt is a former manager and director of fitness and sports operations. He was a 3 sport high school athlete and 2 sport collegiate athlete. Matt is a Certified Personal Trainer as well as Certified Sports Performance Coach. 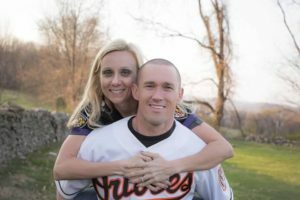 In addition to training, Matt also serves as a baseball coach for youth and high school teams and is the Founder of the Maryland Baseball Club, a local/regional amateur baseball program. Kore is built on providing a fun, high quality fitness experience. We want all of our customers to feel better when they leave than when they arrived. Kore Bootcamps is the perfect place to get an incredible workout and meet great people!